The New Jersey Business & Industry Association is proud to issue the enclosed report Outmigration by the Numbers: How do we Stop the Exodus? The report presents an in depth study of the phenomenon known as outmigration—New Jersey residents moving to other states—and its overall impact on the state’s economy. What is clear from our research is that if steps are not taken to address the underlying causes of outmigration the flow of residents to other states will only continue. This report represents only our first look at this concerning trend. Our cost of living, including our tax structure, is not competitive with our neighboring states and those vying for our residents and our jobs, nearly all of which present a more favorable economic environment. Future reports will explore additional aspects of outmigration, including how charitable contributions are affected by the outflow of income, and the impact on nonprofits and the social services they provide. Additionally, NJBIA today releases its Blueprint for a Competitive Business Climate which is our policy agenda for the next two years. This document includes several of the recommendations that are in our outmigration report—all aimed at making New Jersey competitive locally, regionally, nationally and globally. I would like to thank NJBIA’s Chief Economic Advisor Joel Naroff for his assistance. 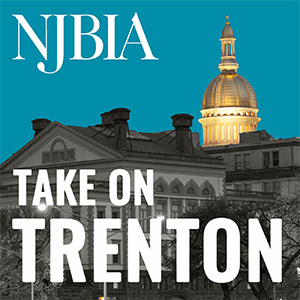 A special thanks goes out to NJBIA’s Director of Economic Research Nicol Nicola and the rest of the NJBIA staff for their hard work and in depth research on this timely and important issue.